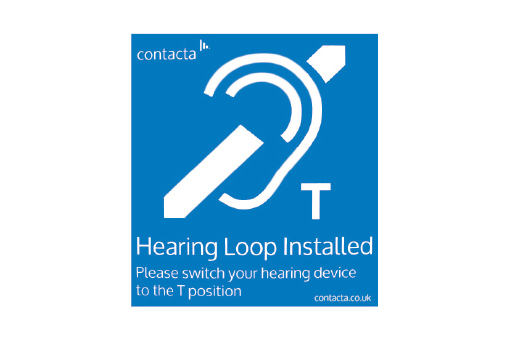 As hearing loops are often installed out of sight, it is important to make people aware where a hearing loop is available. Signs should be clearly placed wherever there is a hearing loop installed. Signs are available as either stand-up signs or stickers, available for both portable and fixed loops. Stickers are available with either an adhesive back or an adhesive front.